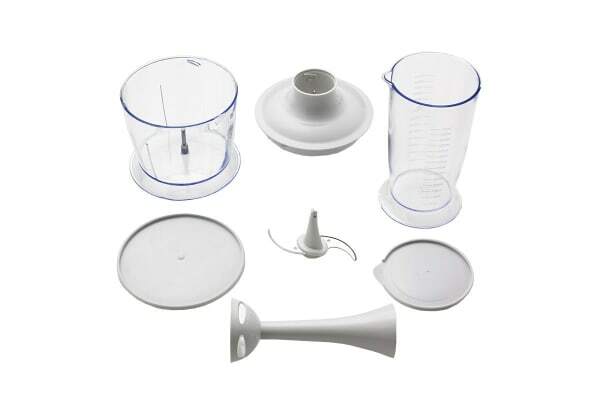 Chop, mince, puree and blend ingredients effortlessly. Chop, mince, puree and blend ingredients quickly and efficiently with the Tiffany Stick Blender With Mini Chopper (SB982). 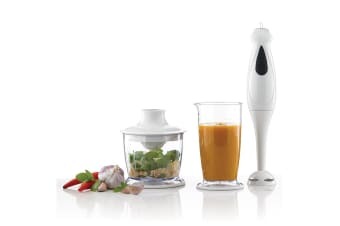 Featuring a detachable blending rod, chopper and measuring cup, the Tiffany Stick Blender With Mini Chopper (SB982) is able to handle any meal prep. The stainless steel blade easily cuts and chops ingredients while the blending rod allows you to make deliciously smooth purees.